According to news reports the first lady came bearing gifts to Camicile Doresca, the young 22-year-old who now has 5 children to take care of. 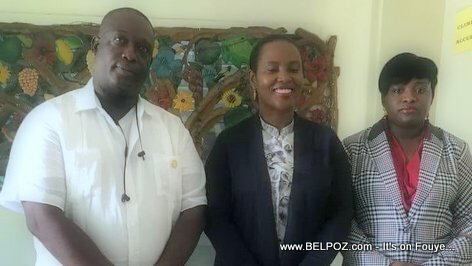 First lady Martine Moise was accompanied by Croix-des-Bouquets vice-delegue Gariga Narcisse, and a representative of the Ministry of public health (santé publique). « TV series marathon ideas - What are the best TV shows to marathon these days?